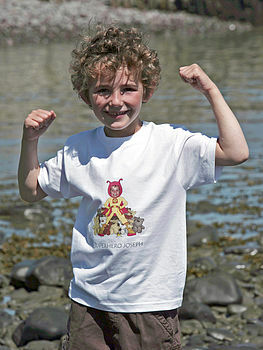 This high-quality photo personalised t-shirt is made of thick cotton and makes the perfect gift for any boy. This photo personalised t-shirt is the perfect gift for any young adventurer with the child's name and picture emlazoned on the front. 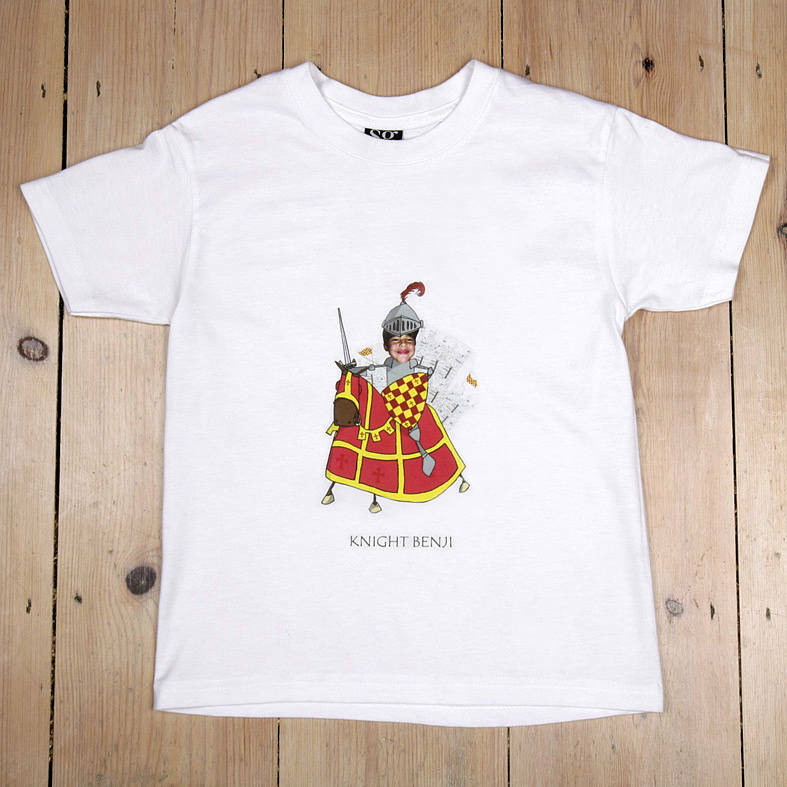 If you know a child who fancies themselves as a knight, spaceman or superhero - this is the present for them! Simply supply the child's name and photograph and we'll do the rest. 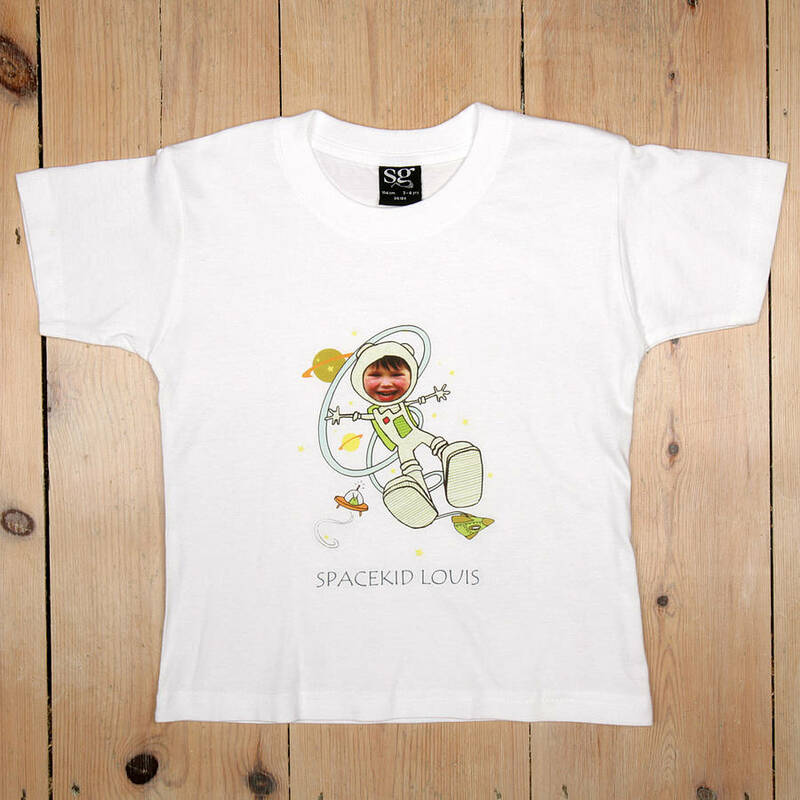 There are three designs available - a daring knight on his trusty steed, an astronaut floating in space or a brave superhero. The child's name and face is incorporated into the design. Made from 100% ring-spun cotton. Fabric: 100% Ring-Spun Cotton. Fine-knit for good shape retention.